Help them AIP, Not Just Words. AIP Offers the Following Courses Free. Click on red buttons to take courses FREE! Research information on the facts, statistics and dangers of human trafficking. Awareness-raising constitutes one of the most prevalent activities in the prevention arsenal. Working with local, national and global elected officials. 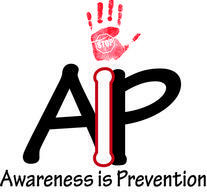 Join us at AIP, go to our resource page get information on organizations in your area or simply give us a call today. A new report is ensuring human trafficking survivors’ voices are heard. to public awareness campaigns to victims’ services. designed to educate, support and end this tragedy.